An Entire Store in Your Hands! Catalog design plus catalog copywriting equals great marketing collateral. Concept One Pulley System’s product line, continues to lead the way with the highest quality systems available along with superior customer service and technical support. This catalog sells their products! Let us help sell more too! Catalogs are all about product and informing your customers about product they want to buy. Often the most important things communicated by a catalog are non-textual. In many cases, the design itself has more of an impact than the words alone. A catalog’s graphics can inspire a sense of understanding and, when done correctly, can entice someone to engage more completely with the products within. Your catalog acts as an ambassador for your business. It shakes the hands you don’t have time to shake. Why then would anyone settle for the cheapest or fastest solution to create a catalog? At Sillitto Design, we believe the development of a printed catalog is not a casual undertaking. Each stage, from the design to the printing, is addressed with reverence and care. 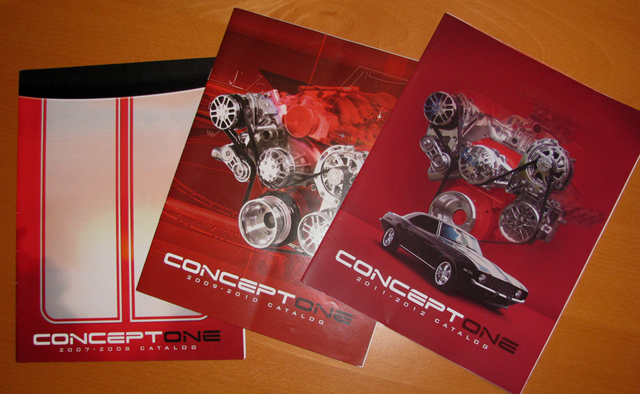 We believe that the design of your catalog should cooperate with and amplify your overall marketing message. Sillitto Design is passionate about our catalog design service. We strive to develop the perfect visual accompaniment to your marketing message. If you feel your catalog is missing a great tagline, or if the content needs “a little punch,” we are happy to help with content development.